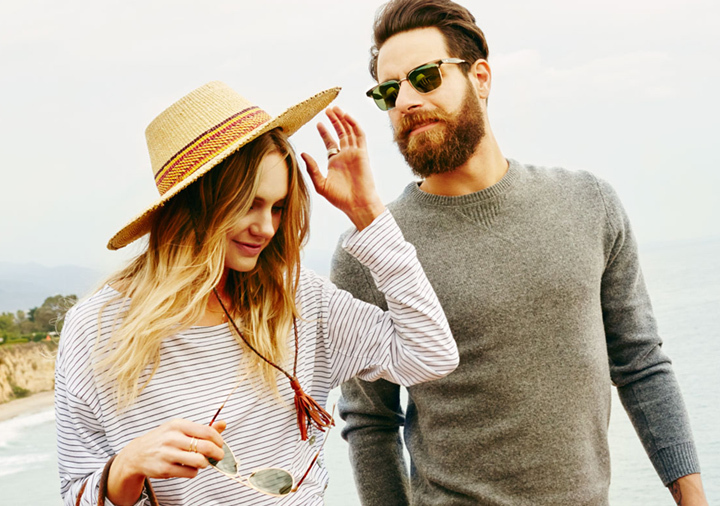 Spend a leisurely day on the coast with Oliver Peoples West’s new Summer 2015 collection. Staying true to their California roots, the range is designed with sundrenched weekends in mind. “Coastal living filled with days spent picnicking on the beach, sunrise hikes in the mountains, and windswept drives along the Pacific Coast Highway.” The styles are clean and refined, laid-back, and all Californian. Three new shapes are introduced: “Vanalden”, a modern squared-off aviator. “Ajax” a contemporary take on a half-rim Clubmaster. And “Beech” a low-profile universally flattering shape. Just as the summer heats up, Karen Walker’s 2015 Limited Edition “SUPERSTARS” are here! 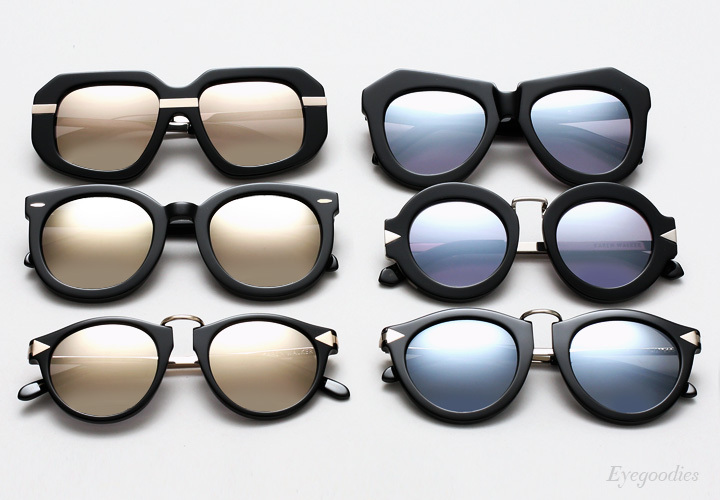 The New Zealand based designer’s new capsule collection takes inspiration from the “black-and-white photographs of Studio 54 in its heyday.” Composed of six of their most-loved eyewear styles done-up in solid black with gold or silver mirror lenses with matching hardware. Check out the new limited run creations of the: Super Duper Strength, Harvest, One Worship, Helter Skelter, Creeper, and Maze — and snag a pair before gone. Weighing in at less than 1 oz. Marking the first ever series of completely frameless sunglasses, we are proud to present the TUTTOLENTE (Literally meaning “ALL LENS”) collection. 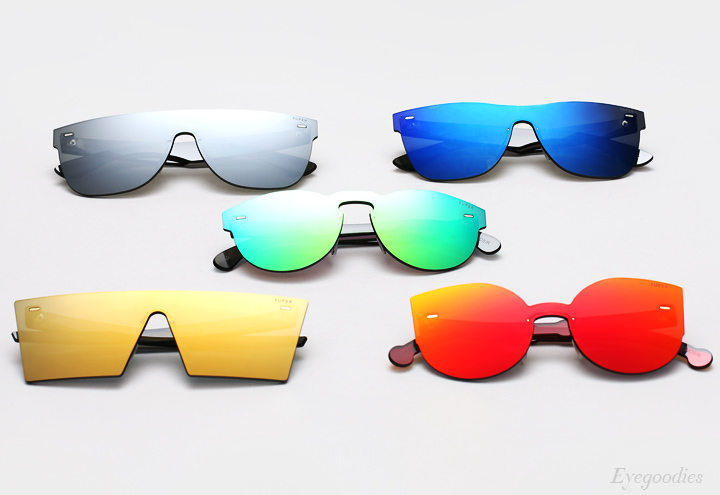 RetroSuperFUTURE’s new limited edition special projects release puts emphasis on the future. Offered in 6 of Supers signature shapes in both a minimalistic black and solar radiation-deflecting mirrors. 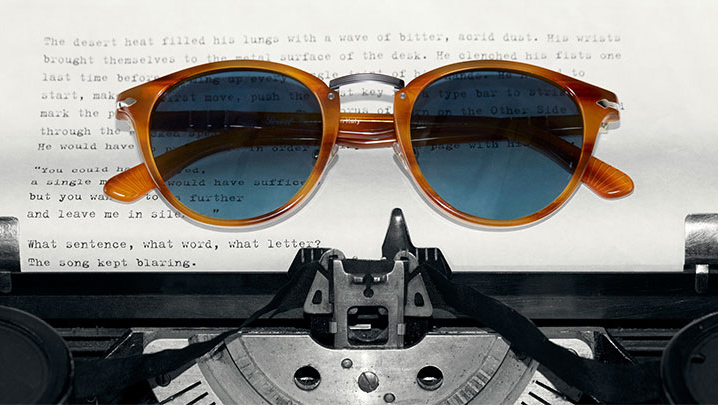 Inspired by the antique charm of the long lost writing tool, Persol introduces the “Typewriter Edition” collection. Composed of two timeless shapes, a rounded (3108) and a squared off model (3110), each encompassing subtle details to recall a golden era of literary heritage. These combination frames have, a newly conceived metal bridge which is finished with refined laser engravings and features rivets inspired by the letters of the old keyboards. The name of the collection is written in the iconic “American Typewriter” font on the inner side of the temple with a fan-shaped pattern on the tips that helps prevent slippage. The three-cylinder Meflecto system on each temple ensures maximum flexibility, grip, and comfort. In exclusive acetates, the sunglasses are available in standard, as well as polarized lenses.